If you know me personally, you'll know that my first love wasn't some pimple face boy from the playground...it was, and always will be, makeup! It's truly my passion and probably something I'll talk a lot about on this blog! 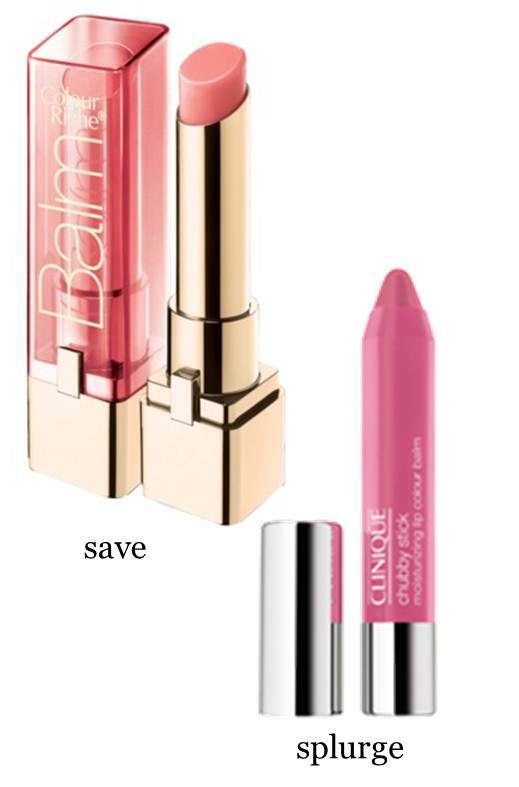 To me, there's really nothing better than buying a new lip gloss (well, OK, except wine night out with the girls). I combat my purchases by telling my husband that makeup is...well, like men and their golf clubs. If they can justify trying every new golf club on the market, I can justify 100 tubes of lip gloss! Anyway! 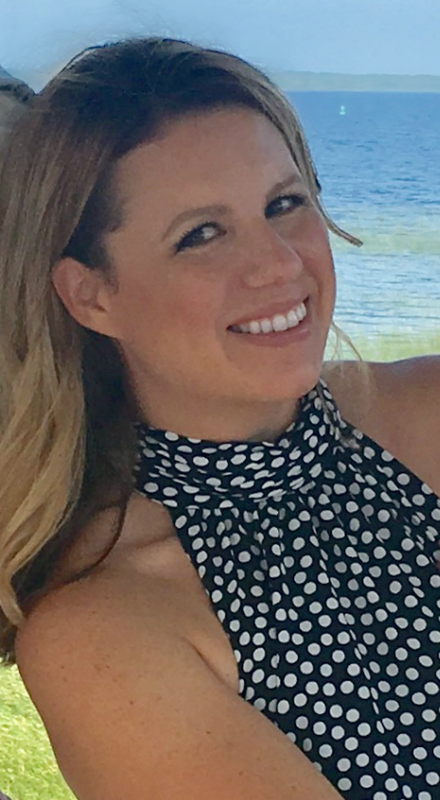 Now that summer is in full swing, I thought I'd share some of my favorite, go-to products can help you get that healthy, natural looking (think Blake Lively) face that really looks good on just about everyone. And because I'm always trying to be budget conscience, I provided both a "splurge" and "save" item for each product. If you end up picking up any of these products, leave a comment and let me know how you like them! If you're like me, summer = shiny face! Here are two great options for taming the grease beast. I used both before my wedding just to be extra safe. 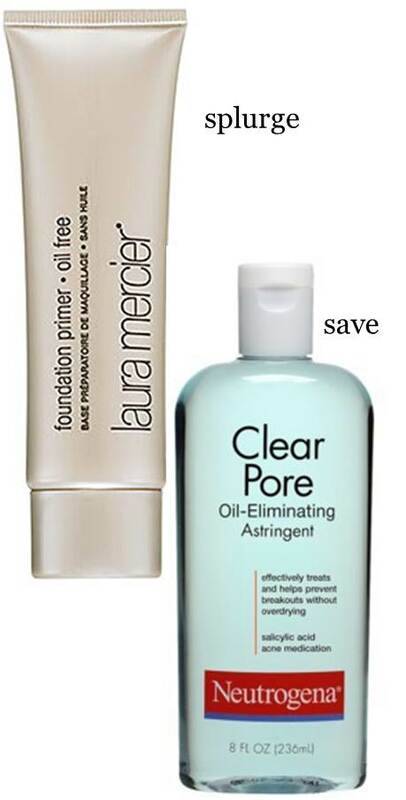 Laura Mercier also makes an awesome oil-free tinted moisturizer if you want to eliminate a step! I added the ! because that's just how excited I am about this product! 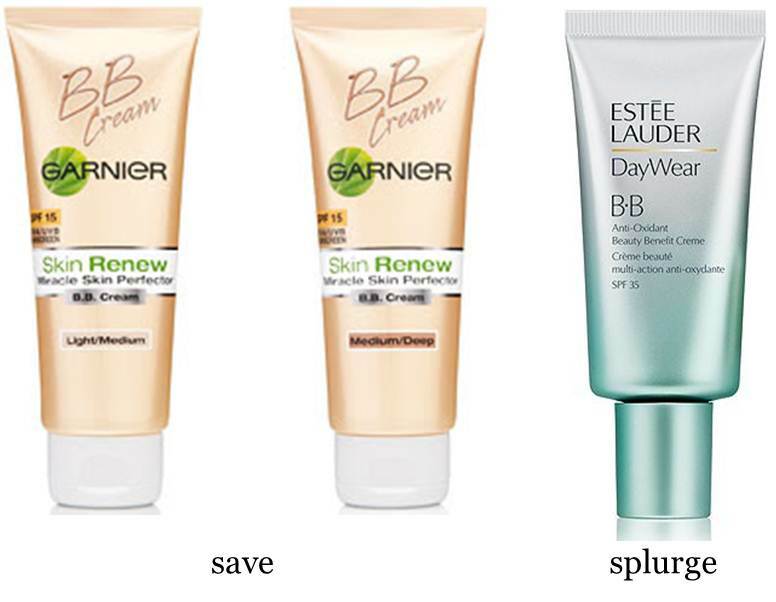 If you haven't heard of a BB Cream yet - allow me to introduce you to your new BFF. BB stands for "blemish balm" and was created in the Asian market for women who had undergone laser treatments and still wanted to use cosmetics but yet it had to be really gentle for their skin. So in a nutshell, they are a moisturizer, primer, foundation and sunscreen all in one. 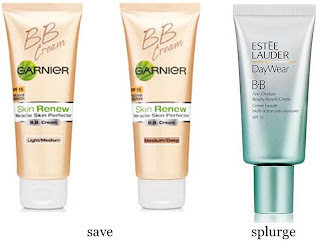 Not wanting to spend a ton of money on a new product I hadn't tried yet, I went for the Garnier BB Cream and I can't rave enough about it. You just need the tiniest amount and it goes on like silk. 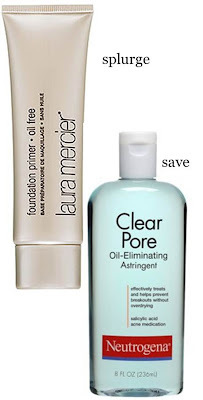 I haven't purchased the Estee Lauder one yet, but heard it provides more coverage and has a higher SPF. I'll confess, I used to be a powder queen. I'm embarrassed to admit that growing up my sister's used to call me the "Porcelian Goddess." I've now learned to powder less and to ignore my sisters. My favorite girls over at Pixiwoo (more on them soon!) 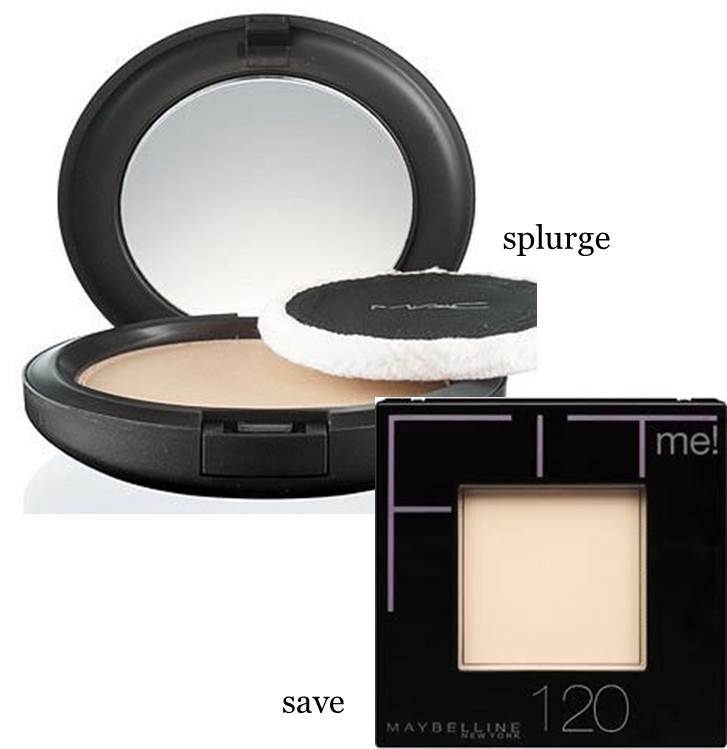 are big advocates for the MAC blot powder and I of the Mabelline Fit Powder. Both are translucent and super light in texture. Just a little in your t-zone should do the trick! It is truly my life's journey to find the right bronzer. Ok, not really - but sometimes it feels that way! Finding the right brozer for your skin tone can be tough but my #1 piece of advice is to GO MATTE! In my opinion, when a bronzer has sparkle or glimmer to it, it really just makes your entire face look like a big ol' disco ball. Matte bronzers can be used to contour your face and help bring out your natural bone structure. 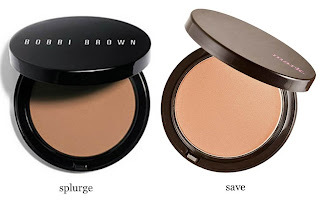 While pricey, Bobbi Brown makes the BEST bronzer because it's completely matte and plays more brown than orange. However, Mark's Bronze Pro is a great alternative if you don't want to invest that much dough. To make sure it looks natural, only apply bronzer where the sun would naturally hit your face. So basically all the high points - tops of cheeks, top of forehead, eyelids, bridge of nose, and top of your chin. Because it's summer, you do want to have some shine but the key is to apply it in the right spots! Tops of cheek bones, tops of eyelids, and in the cupids bow of your upper lip. This will provide just enough glow to make you seem like you just walked off the beach. When in actuality, you're spending all day....everyday...at your desk...in front of your computer...instant messaging with your friends...wishing the day would just end already!!!! Sorry, I digress. If I were to recommend one purchase out of everything, it would have to be the shimmer brick. It's a cult favorite for good reason. Somehow the mix of shimmer and color is just perfection. And you can also use it as eyeshadow if you want! 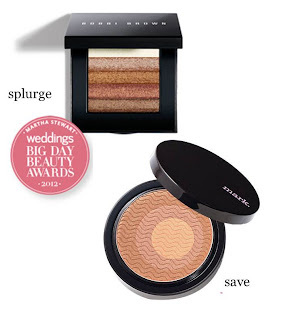 But just like the bronzers above, Mark also makes a great, affordable option! Not enough women use blush and it makes me mad! Ok, not really mad but disappointed because it's really the one product that can make the biggest difference! The right pop of color on your cheeks can really brighten up your entire face. Any of you out there Bachelor fans? Well, I definitely am and I was obsessed with Michelle Money when she was on Brad Wolmack's season. Her makeup and hair was always so perfect! 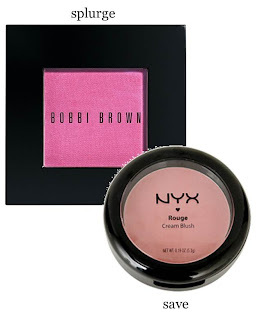 She turned me on to Bobbi Brown's pale pink blush and now it's become one of my staples. While it looks SUPER bright in the package, it's really not. And it's matte...and you guys know how I feel about too much sparkle on the face! For the save, try NYX's cream blush. Cream blush is a great option for summer because it keeps your skin looking natural while still adding color.